User-generated content enables a brand’s passionate customers to become advocates, in turn building engaged communities around products and services. The idea behind user-generated content is that customers, followers, and partners will provide a more trustworthy recommendation than the brand itself when it comes to making a buying decision. According to a report from Adweek, 85% of users surveyed found visual UGC to be more influential than content made by the brands directly. As people look to their peers for recognition and recommendations, brands can leverage this trusted content to connect in more personalized and authentic ways. Here are seven examples of successful user-generated content campaigns. A powerful campaign from women’s clothing company Aerie, entitled #AerieReal, taps into the impact of fashion magazines, social media, and the effect of Photoshop abuse from the marketing and advertising industry. Aerie set out to emphasize the impact that edited photos can have on women’s self-esteem and instead, wanted to promote a sense of body positivity. The brand took to Instagram and pledged to stop retouching photos of models. They also challenged users to post unedited photos of themselves in bathing suits with the hashtag #AerieReal. And for every Instagram post, Aerie donates $1 to National Eating Disorders Association (NEDA). Tourism Australia knows that everyone loves sharing their vacation photos and video with friends and family. When they noticed that massive amounts of content with the hashtag #SeeAustralia were being shared on social media, they realized it was a great opportunity to bring travelers into the conversation. By highlighting the experience of traveling in Australia they created a community of both those who had been there and those who aspired to visit. Running multiple activations, including the Giga Selfie campaign aimed at attracting younger and social media savvy Japanese consumers, and their aquatic and coastal campaigns,Tourism Australia has found ways to continue to engage and stay relevant. In addition to the beautiful and highly visual generated content they are collecting, for one campaign they saw a 30% increase in site engagement and a 66% increase in time spent on site. The shoe company Stuart Weitzman recently launched the #EYELOVE campaign in collaboration with it girl of the moment/supermodel, Gigi Hadid. The campaign highlights a new shoe collection with a good cause—building schools in Ghana, Guatemala, and Laos through its partnership with Pencils of Promise. This UGC encourages people to support the campaign to provide life-changing education. Last year, Gigi Hadid and Stuart Weitzman joined forces to create the “Gigi Boot,” which has helped fund the building of three schools. This year, they’re doubling down on their efforts with a new collection. In July 2017, Under Armour launched a new global campaign entitled “Unlike Any” celebrating women who are beyond compare. The campaign is a collaboration between spoken word artists, and it was designed to celebrate and honor the unprecedented achievements of female athletes that rise above gender comparisons and stand on their own. And from there, she stated, there was this need to change the conversation. A need to remove gender from the dialogue and focus on women’s contributions on their own merit. The second part of this, was a need to break the perception of who Under Armour was as a brand. The campaign was meant to highlight that their athletic wear is for all women. In partnership with Droga5, they created a fantastic and empowering campaign featuring the likes of Misty Copeland , Natasha Hastings, Alison Désir, Jessie Graff, and Zoe Zhang. 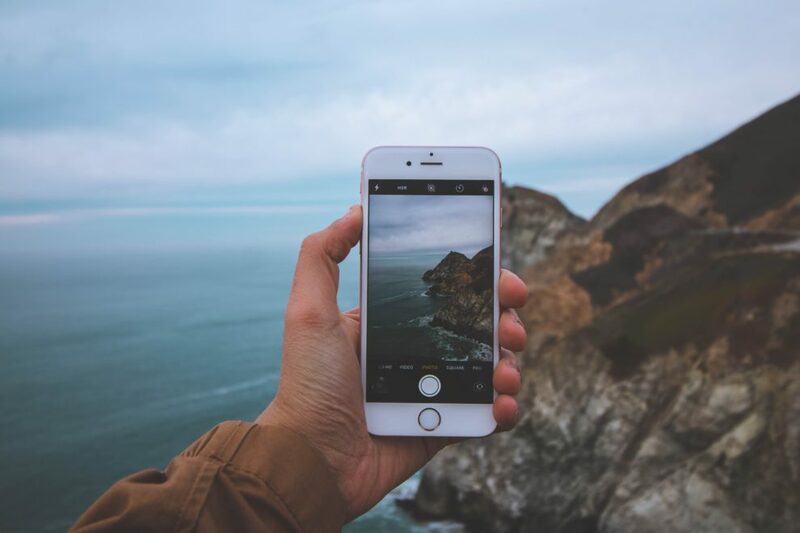 As the leading global brand in terms of Instagram followers, it stands to reason that National Geographic would be a master at leveraging user-generated content. With the launch of their #WanderlustContest in 2015, which prompted users to post photos for the chance to win a National Geographic photo expedition to Yosemite National Park, they created an immense, interactive slideshow on their website. Utilizing both their own site and social media effectively, the hashtag has generated over 63K post on Instagram. Truly a brand that understands the connection between content, community, and commerce, National Geographic provides a case study in how an iconic, 130 tear old brand has adapted to changing technology and trends. In order to share photos on the website, users must join the National Geographic’s Your Shot Community, where #wanderlust and other hashtags such as #citylights, #protecttheselands, #myclimateaction continue to thrive. Creating buzz around their new releases is a vital part of Netflix’s social media strategy. As the brand leans more heavily on creating original programming, they’ve increasingly looked toward UGC to promote their content. Netflix promotes fans’ posts about shows and movies with straightforward hashtags (using the shows’ titles) to spread the word of upcoming premieres. These actions inspire Instagram users coming across Netflix’s page to see what the fuss is all about, as UGC shows how others are already engaged and impatiently waiting for new content. For example, one of 2017’s most highly anticipated shows Stranger Things Season 2 generated nearly 1 million posts on Instagram using #strangerthings2, and was also dubbed the “most-Tweeted about streaming series” when it debuted last Fall. By re-purposing some of the show’s user-generated buzz in it’s marketing, Netflix was able to engage with and built community. Hashtag #AdobePerspective is used by the creative software company Adobe. The hashtag serves as a way for the artists and content creators who use the Adobe Suite to share their content, as well as source work for free from other users. With this UGC campaign, Adobe gets to show off its software capabilities while engaging with its community of users. Many of the Adobe programs come with a steep learning curve, and new users may have some trouble envisioning what they can do with the software before seeing it in action. Adobe doesn’t stop there. The campaign, #Adobe_InColor is the company’s Pride Month-themed UGC campaign that generated 300 posts in first the first few weeks of June 2017. Adobe is an excellent example of UGC, as their campaigns showcase the talents of their users, as well as the values culture of its community. This gives them a leg up on the competition, as their UGC feels especially authentic. As consumers become less and less swayed by traditional advertising, marketers will continue to look outside of the sales funnel and turn toward UGC to boost credibility and reach. With that in mind, there’s no doubt the influence of UGC is going strong. We’re likely to see more of it in 2018, and beyond, as more brands tap into the power of their community. Learn the ropes of user-generated content marketing. Request a free Pixlee demo and we’ll show you around.